Forklift Training in the UK is a minefield, there are so many companies offering training and some are making some really bold statements, but here are a few tips to help you find the right Forklift Training provider. Firstly, let’s get a few bits straight… Are you a business or an individual? If you are an individual and need Forklift Training, then most will require a Forklift Training Centre, I maybe wrong but unless you are already employed and your business won’t pay for the training on-site, then this will be your best bet. If you are a business with warehouse space and a serviced Forklift Truck, then on-site Forklift Training is the most cost effective way of providing HSE recognised forklift training for your workforce. So, lets just split this out into Individuals and Business Do’s and Don’ts so we don’t over complicate this process. As I mentioned above, using a Forklift Training Centre would be the most beneficial way of training on a Forklift Truck. he training would be over a 3–5 day course depending your experience level. Check out the business offering the Forklift Training, you can do this via Companies House and make sure the accounts are healthy. Check out reviews of the company, look for any negative feedback that is constructive. Where possible pay by Credit Card to give you protection should the forklift training provider go pop. Don’t do another 3–5 day course for a different Forklift Truck course, eg. Counterbalance then to reach. It is classed as a conversion course and should take just 1 day. Don’t go for the cheapest option, pay the extra if the company is accredited with one of the major bodies such as NPORS or RTITB. Be wary of Free Forklift Training Courses, these are few and far between now. With the government pulling many of the training grants. Never hand money over to expect to get it back. Training up to 3 people per instructor over the 3–5 day course, sometimes ability to add on refresher courses for not much more. Employees will be in an environment that is (or will be) familiar. The instructor can integrate part of their job roles into the training. Ensure that the instructor is registered with one of the many bodies, this can be easily checked. Agree costs before the training commences, find out what happens should a member of the team fail. More reputable companies will look at the employees weaknesses and spend the extra time with them at the end of the course and re-test for free. Check out the company before you book, have a look at their accounts on companies house and make sure they are reputable. Even get some feedback from their clients. Don’t listen to companies that say that the training must be accredited. So long as the instructor has the correct credentials then he can provide HSE recognised training without it being accredited, these can be transferable if you wish or they can be classed as in-house training. 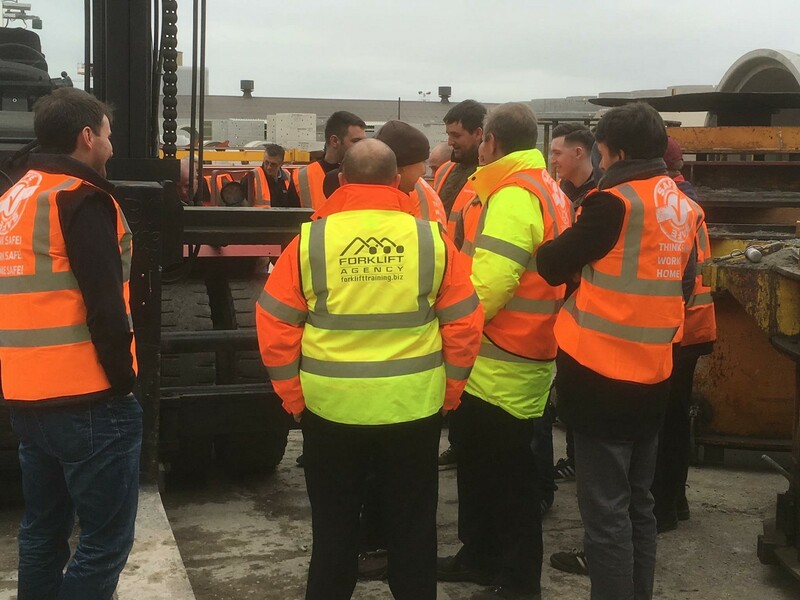 Assume that an instructor can train on more than one Forklift Type during the same course, each course is designed for each Forklift type, however, conversion courses which are usually 1 day can be bolted on to the training. Forget to get the certification from the Forklift Training provider, this maybe required for your insurance or should an employee have an accident. There are quite a few companies up and down the UK and each and everyone has a different pricing structure. Some companies charge for travel, some don’t. Comparison tools can help on this occasion, but there is a tool called Forklift Training Prices that provides a few vetted companies with your details and they get back to you with a no obligation quote. They don’t bombard you with Spam and ask that the forklift training company doesn’t add you to any lists without your permission. Of course, I haven’t covered all the points on this story and if you can think of any questions or additional ideas, please do drop your comment below. I live in a beautiful town called Belper on the edge of the Peak District with my wife Rebecca. I enjoy writing, photography and gadgets.